After years of vibrant city life in San Francisco, Lonnie Hull DuPont reluctantly trades her three-room apartment on Telegraph Hill for a farmhouse in Michigan. She immediately misses the rhythm and the pace of the city, and the isolation of country living has her longing for something more. 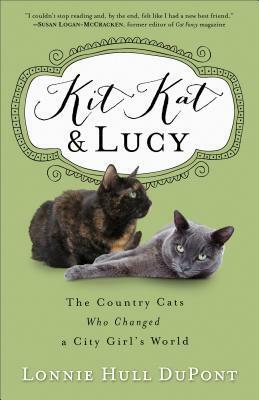 Enter Kit Kat, an obsessive-compulsive tortoiseshell, and Lucy, a playful Russian Blue who can nail a bat right out of the air. These stray cats arrive a year apart and each ask to move into the farmhouse--and ultimately DuPont's heart. From the hysterical process of getting two strange cats to like each other to the exciting years of watching those cats thrive--and inspire DuPont in the process--this book is the heartwarming story of how one woman's world would never be the same. It will come as no surprise to anyone who knows me, that I love cats. I begged for cats as pets growing up and then raised kittens when pregnant mommy kitties showed up at the door. I love kitties, they are fun animals. So, when I saw this book come up for review, I had to read it. I knew upon seeing the cover of this book I would like it, it had a Tortie kitty on the front of it and the baby reminded me of one of my old sweet kitties. My thought on the cover proved true. I really enjoyed this book. Lonnie really opened up her life and in doing so, shared the joys that cats can bring to a life. This book is one I could relate to. As I read Lonnie's story, I found myself nodding my head in agreement and chuckling as I read on through the pages. Living with a cat is different then a dog. Cats offer such an amazing friendship and connection. I'm not knocking dogs, don't get me wrong, I love those goofballs, but cats are different and Lonnie's story with her two was just spot on. Kit Kat and Lucy were described several times as gifts to Lonnie and her husband. I couldn't help but think that she was very right. You don't plan for an animal sometimes, but when they are there, they end up being just what you need. Kit Kat & Lucy, though animals, show the unconditional love that is needed. This book brought on tears, I will say at the end. I know the heartache that can happen when loving a pet, but it was written so well. The love of a pet is an amazing thing and this story captured it beautifully. 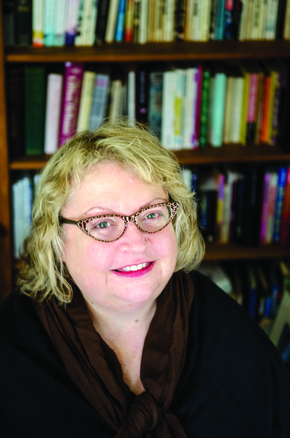 Lonnie Hull DuPont is an award-winning poet, book editor, and writer. She is the author of several books, including five compilations of animal stories under the pseudonym of Callie Smith Grant. A member of the Cat Writers Association, she lives in rural Michigan with her husband and their cats.